FOOD is undeniably an important part of culture and identity. We can get to know a country and its people through the food they cook and eat. In Cambodia two years ago, I signed up for the “Le Tigre de Papier” cooking class where I was taught the basic processes of making Khmer dishes – spicy shrimp salad (a starter), seafood amok (a slightly sweet curry as the main course) and fried bananas (dessert). The French restaurant was not the only one offering cooking classes. There were other restaurants at Pub Street in Siem Reap that offered such classes. And these classes were almost always fully booked by tourists. Foreign tourists want to learn about the cuisine of the country they are visiting while the locals want to experience cuisines new to them. Many cooking classes also include market tours to enhance the cultural experience. We also become more informed about the culture and food in the other countries through the cooking channels on television. We see celebrity chefs such as Jamie Oliver traversing the entire length and breadth of Italy to teach us the traditional ways of cooking in the country. We have watched Gordon Ramsay and the late Anthony Bourdain, in separate shows, learning to cook Malaysian dishes from Aunty Aini at her cafe in Negri Sembilan. Food is also our link to our country. Immigrants and foreign workers, for example, cook traditional food as a way of preserving their culture when they move to new places. I have Malaysian friends living overseas who are teaching their children how to cook traditional Malaysian dishes and making these dishes a must-have in their homes when they entertain foreign guests or as the main food during the festive season. And anyone travelling to their part of the world is requested to bring with them the local paste and other ingredients that they could not find there. 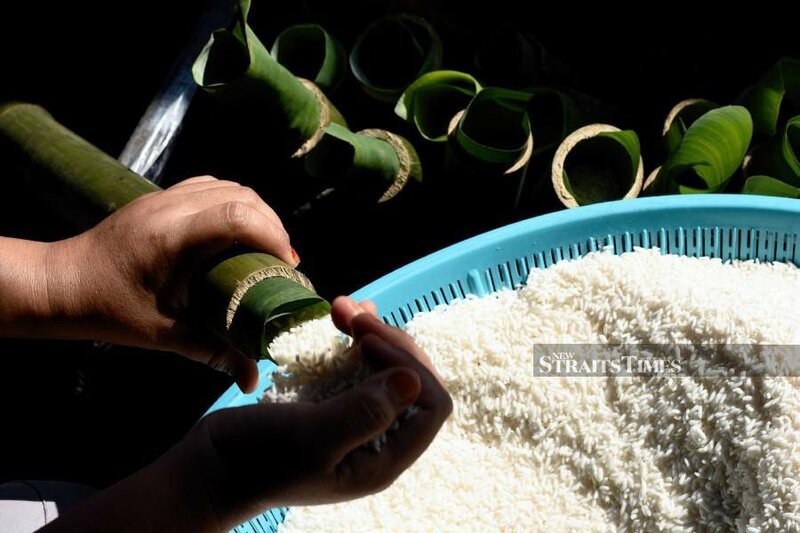 While we see the efforts of some nations and their nationals in trying to preserve their traditional dishes, it is quite the contrary here in Malaysia. Here, we have become experimental to a certain extent where our traditional dishes are concerned. Of late, some people have introduced cheese as an ingredient or topping on some of our traditional dishes. Last week, for example, netizens made viral a photograph screen-grabbed from a television channel of “siput sedut” (obtuse horn shell or commonly known as mud creeper found in muddy coastal areas) topped with melted cheese. While it does remind one of baked escargot, the Malaysian palate is used to the sea snails being cooked in coconut milk and chili padi paste for the spicy kick to it. Even in Vietnam, the mud creepers are fried in a mild green curry-style coconut sauce. I must admit I love cheese but either with crackers, grapes or with pasta dishes and as pizza toppings; not on murtabak, pisang goreng and keropok lekor. And no, I will not have cheese in my apam balik (I even cringed at having sweetcorn kernels as the traditional one has only crushed peanut granules with sugar as the filling), satay (yes, it seems cheese and meat go well together), lemang or biskut bangkit (one of the many traditional Raya cookies which has cheese as an ingredient). Our food, he said, tastes good with ingredients that are native to our land. Adding Western produce like cheese and cream to Asian recipes spoils the authenticity. “These are recipes that have been brought down from generations and should be preserved. If we lose this, then what makes our food Malaysian?” he had asked. Raja Permaisuri Agong Tunku Azizah Aminah Maimunah Iskandariah Almarhum Sultan Iskandar, in compiling recipes from Pahang for her cookbook, discovered that the main ingredients for an authentic gulai tempoyak Pahang are just chili padi and fresh turmeric. In fact, in most traditional cooking, onions weren’t used. The elders used asam keping (sun-dried slices from the Garcinia atroviridus tree) instead of tamarind. And most of the traditional desserts use tepung pulut (glutinous rice flour), tepung beras (rice flour) and tepung ubi (cassava flour). You can hardly find a traditional Malay dessert using wheat flour. True enough, if we do not protect the authenticity of our traditional dishes but instead bastardise it with newer versions, we can no longer use food to define us as Malaysians. And the traditional dishes that make us unique will be lost forever.